Sworn to Remember is a classy, and very impressive melodic metalcore band with a sort of indescribable power that defines their music. While some complaint can be made about the way the cleans and growls blend into each other as a whole this band is very tight and their new record Farewell is a promising introduction form what promises to be one of Vermonts best bands in coming years. One of the things that makes these guys so appealing is that their riffs are profoundly different from standard metalcore riffs and branch out a bit more, this gives a lot of flavor to songs like Hopeless. Furthermore, it proves that Sworn to Remember are capable of being very much their own thing, a band who can really do something to the scene. With progressive elements and minimal breakdowns Sworn to Remember seem to be on a good path to become metalcore lords in a new generation of the genre. 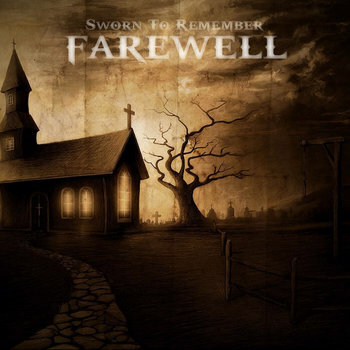 If you're looking for a great up and coming modern metal band who are very tight and filled with all sorts of rifftastic joy then Sworn to Remember is the band for you!